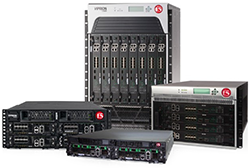 Run F5 products on hardware, with software, as a service, or in the cloud. The right products can help you deliver your applications more effectively—and the right deployment method can help you manage them in the way that best suits your business. Many F5 products are available in hardware, software and virtual editions, and as a service, to suit your application infrastructure and demands. With the BIG-IP line of hardware devices, consolidate, distribute, and scale application delivery services up, in, and out of the data center. You'll find entry-level, midrange, and high-performance options built to suit a wide range of business requirements. The VIPRION platform empowers you to dynamically scale and adapt. Add blades without disrupting your apps or users, extending superior power without adding devices. Choose from chassis and blade options that meet both enterprise and service provider requirements. Virtual editions (VEs) of BIG-IP products have the same breadth of features as their hardware counterparts. VEs simplify the process of moving application services between virtual, cloud, and hybrid environments—and they run on any leading hypervisor and in select cloud providers. Skip the massive upfront investments in IT infrastructure and support. 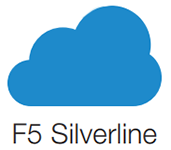 With the Silverline application services platform, we manage your application center for you. Our experts deploy your enterprise-grade application services across hybrid environments quickly, saving you time and money while allowing you to focus on other aspects of your business. A blend of software and hardware that’s a load balancer and a full proxy. It gives you the ability to control the traffic that passes through your network. The BIG-IP platform is a smart evolution of Application Delivery Controller (ADC) technology. Solutions built on this platform are load balancers. And they’re full proxies that give visibility into, and the power to control—inspect and encrypt or decrypt—all the traffic that passes through your network. And while BIG-IP software runs on BIG-IP or VIPRION hardware or as a virtual edition, it’s now also available as per-app VE licensing. Dedicated per-app services and protection for any environment. Provides intelligent traffic management as well as advanced application security, acceleration, and optimization. Secures your infrastructure and keeps apps online during high query volumes and distributed denial-of-service (DDoS) attacks. Integrates and unifies secure user access to applications. Paired with BIG-IP APM, lets you create and administer policies to manage web access, as well as spot and block web-borne threats. Gives you the flexibility to deploy web application firewall (WAF) services close to apps, so they’re protected wherever they reside. 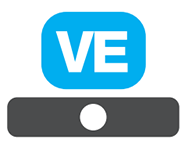 Protects apps from even the most aggressive volumetric DDoS attacks. Helps you stay ahead of the IPv4 to IPv6 migration. Manages (and scales) Diameter signaling for your network. Improves network performance through effective policy management. Manages links to distribute inbound and outbound traffic with greater efficiency and resiliency. F5 security products are purpose-built, dedicated appliances that you can implement with minimal disruption. That means enterprise-level performance and scale in an appliance that’s optimized to address specific security challenges. Protects against the latest wave of attacks using behavioral analytics, proactive bot defense, and application-layer encryption of sensitive data, such as credentials. DDoS Hybrid Defender is an on-premises appliance that, combined with native, cloud-based scrubbing services, delivers a complete DDoS threat solution. SSL Orchestrator enables the decryption and encryption of outbound SSL/TLS traffic and supports dynamic, policy-based management and direction of traffic to the right security devices for inspection. Enable application services insertion across multi-cloud deployments. Simplify system management of your devices and the services they deliver. Streamline the application deployment process while reducing risk. Protect mobile device users from online fraud. Protect your business and customers from online fraud. Deploy faster with self-service app performance and security. AppDeliveryWorks.com is a division of Virtual Graffiti Inc, an authorized F5 Networks reseller.